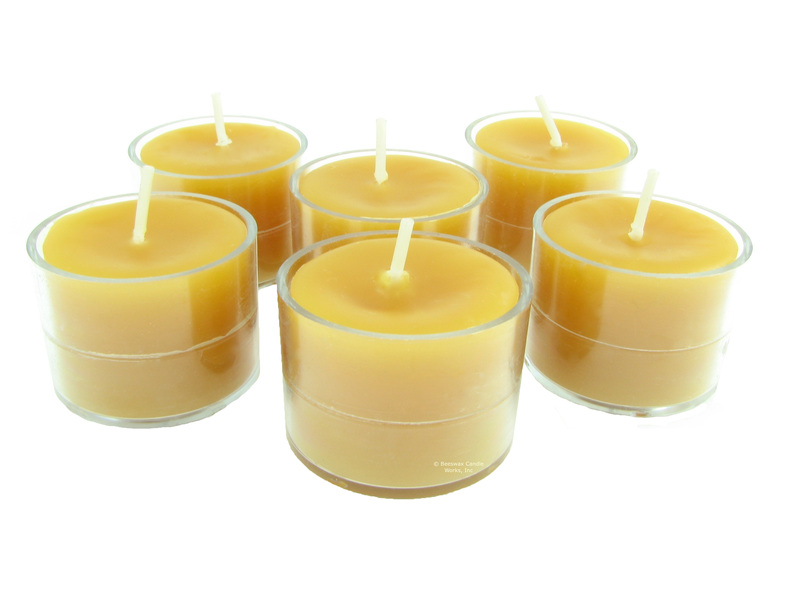 These wonderfully fragrant beeswax tea lights come in a clear polycarbonate cup. 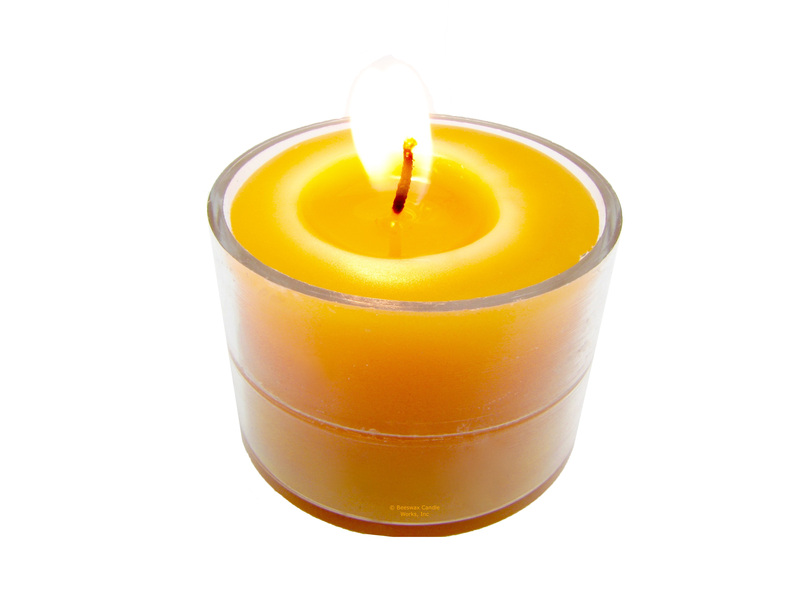 These are a TALL size of tealight measuring 1 1/8" high x 1.5" wide (outside dimensions). 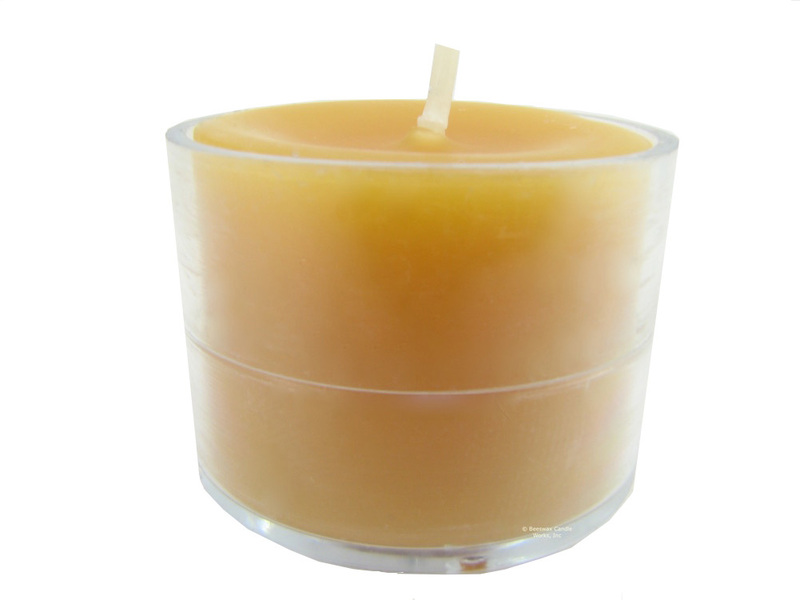 (Inside dimension is slightly under 1.5" wide).You will have a burn time of about 8 to 10 hours. 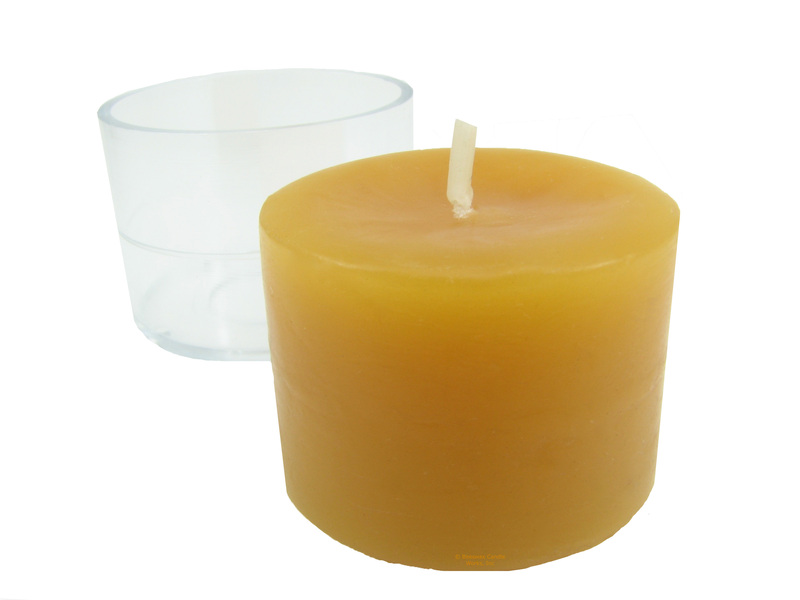 We also offer standard size pure beeswax tea lights in aluminum and clear cups. PLEASE NOTE: These TALL cups have a thicker wall than the standard clear cups.The STANDARD refills will not fit in these Tall clear cups as the inside dimension of the tall cup is slightly narrower than the standard refill. We offer TALL REFILLS. 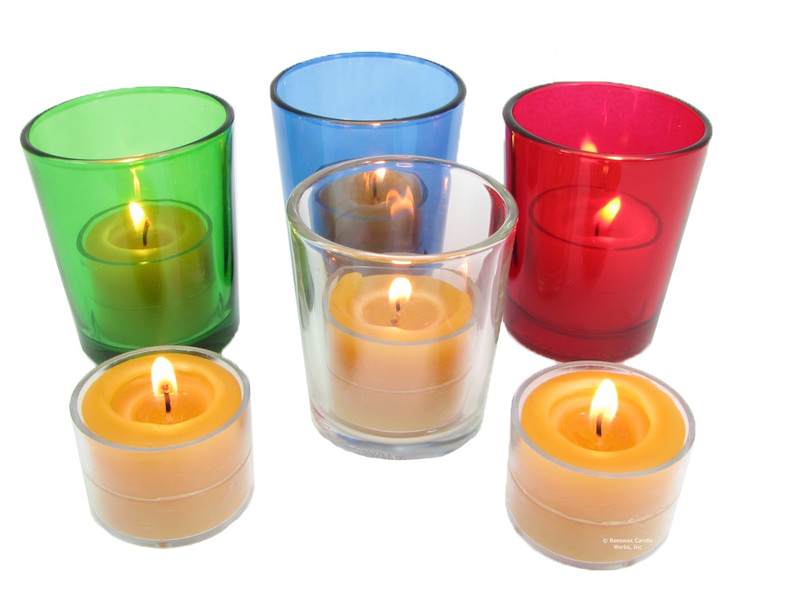 Votive glass holders are for display purposes only.